Simon Property Group's gorgeous outdoor mall, Stanford Shopping Center, is located on the Stanford University's campus in Palo Alto, CA. With such a prominent location and a reputation for upscale merchants and garden-like grounds, one would expect the media to know all about it. Unfortunately, the opposite was true. 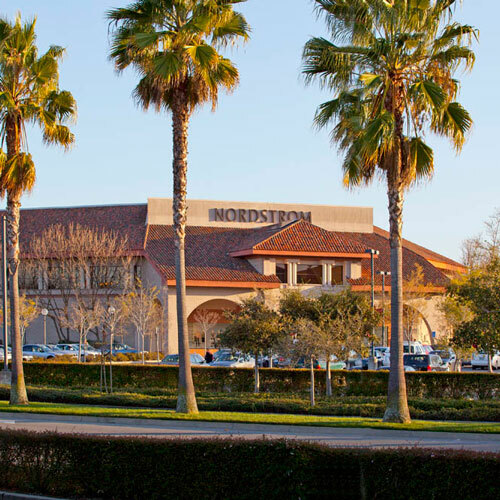 None of the reporters covering family events, retail or shopping in the South Bay or Peninsula had a relationship with Stanford Shopping Center. Mall coverage consisted of retailer-generated news briefs and snippets in police logs. Brazer's challenge was to build fruitful relationships between the media and Stanford Shopping Center's management, establishing the mall as the best local source of information on retail trends, hot new products and fun family events. We wanted positive coverage in both the Silicon Valley media and the San Francisco media. We focused our efforts on a few of the mall's events that had the potential to garner media attention, specifically the biennial Dreams Happen Playhouse Display & Auction, Super Chefs Live! and "Black Friday," the traditional kick-off of the holiday shopping season. While planning the promotion of cause-related Dreams Happen, Brazer noted that the intensely visual arrival of playhouses built and donated by local craftsmen had never before been pitched to the local television stations. Using our contacts, Brazer was able to secure coverage of the early morning arrival by local NBC-affiliate KNTV, generating a live shot of the installation on the morning news and a generous segment on the event that ran during the evening news the same day. Both the San Jose Mercury News and San Francisco Chronicle covered Dreams Happen twice, running color photos of the adorable houses in their Home sections. Rebuilding Together Peninsula, the charity benefiting from Dreams Happen, noted that the 2005 coverage was some of the best in the 15-year history of the event. For Super Chefs Live!, a Simon event staged in their malls across the country, Brazer arranged for KRON-TV’s Henry Tenenbaum to cook with the event’s celebrity chef in his own home kitchen and plug the event to happen later that day at Stanford Shopping Center. Super Chefs Live! also was covered by local newspapers and was well attended. “Black Friday” was approaching, and Brazer had effectively forged relationships between Julie Kelly, Stanford’s director of mall marketing, and local retail reporters. We arranged for a reporter from the Chronicle to tour the mall with Julie, and for the retail reporter from the Mercury News to interview her at length about future plans for the Center. Ultimately, “tony Stanford Shopping Center” was included in three Black Friday stories, two in the Mercury News and one in the Chronicle – where it was the only Bay Area mall mentioned. Moreover, we achieved in the Chronicle what every one of the dozens of Bay Area malls wants: mention of their Santa and his photo booth.